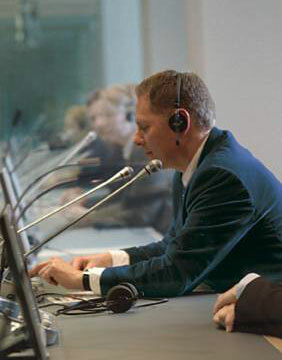 With simultaneous translation a translator, who understands both the source and target language, sits in a soundproof booth and relays translated messages to listeners in their target language simultaneously while the presenter speaks in their native language. Those who are listening to the translator hear them speak through individual receivers and headsets, which allow the translator to be heard easily and cleanly without blocking out ambient sound from the presentation. Unlike other types of translation, simultaneous translation gives those watching the presentation an instant understanding of the message being relayed without having to create lapse in the presentation for translation time. 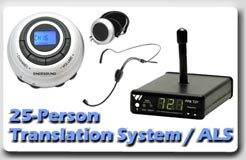 With the use of simultaneous translation listeners are able to understand the subtle nuances and idioms of the source language spoken by the presenter, which other types of translation may overlook. 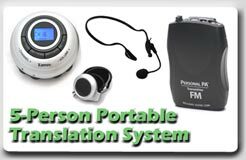 The equipment used in simultaneous translation can be wireless and portable, allowing listeners to move freely throughout a venue, as may be needed for walking tours or active training seminars.